Virginia Right! 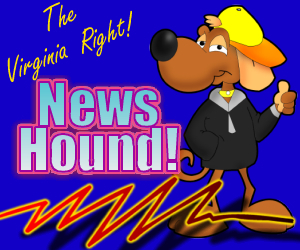 News Hound for 12/18/2010 | Virginia Right! Busybodies, Babes, and Bacon: Presenting Reason.tv’s Nanny of the Year! Is This Our America Anymore? Is Obama Destined to be a Footnote in Presidential History? Maxine Waters (D) case delayed via Democratic incompetence? You Want Smaller Government? Cut Off Their Money!